Be prepared with the the “Go To” portable spill kit, packed with Universal absorbents. 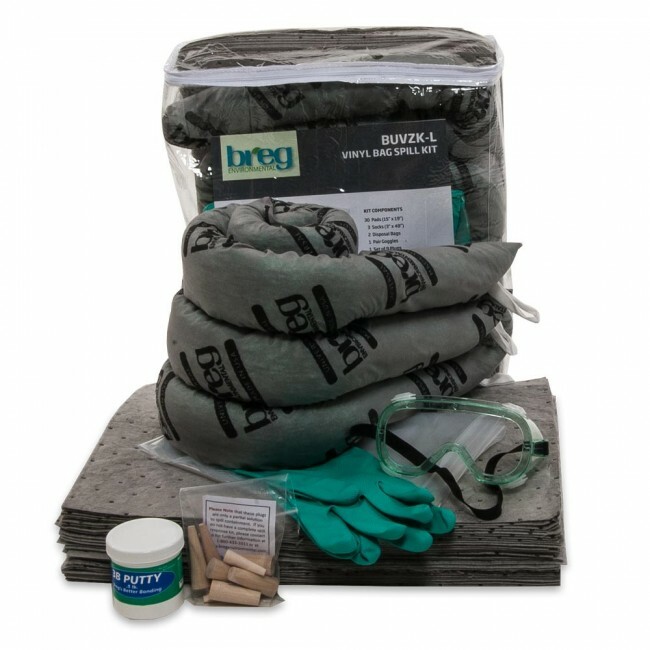 When spills happen at your facility or on the road, be prepared with a vinyl bag spill kit packed with Universal absorbents. Designed for a quick, efficient spill response they’re easy to carry to any location and the space-saving size makes them easy to store. Perfect for shipping docks, freight vehicles, maintenance areas or spill-prone areas throughout the plant floor. Fits neatly inside a truck, cab or cubby.